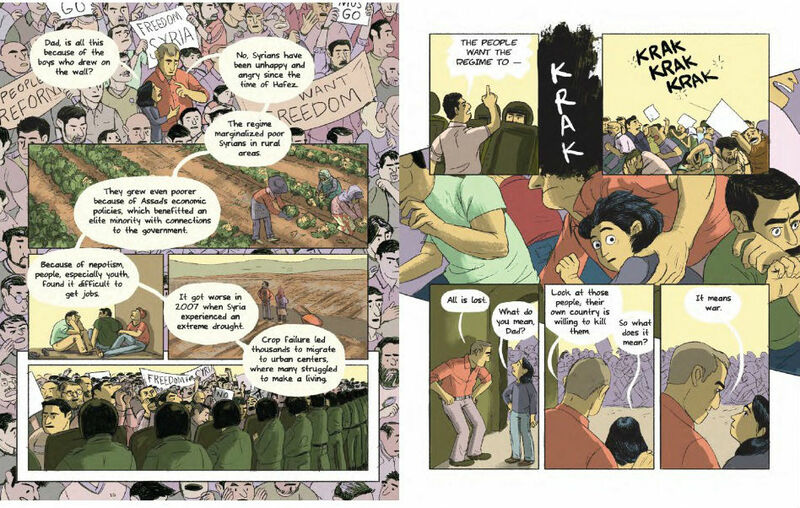 Earlier this week we looked at the Syrian refugee crisis from a graphic reportage angle when we reviewed Olivier Kugler’s Escaping Wars and Waves – a book of illustrated interviews with those who had fled the region – here at Broken Frontier. 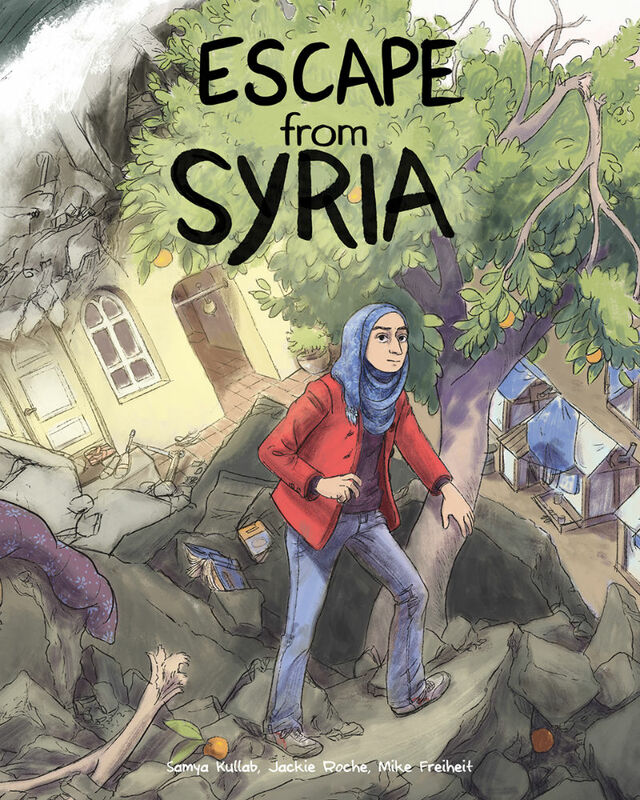 Escape from Syria covers the subject from a different narrative perspective, telling the story of one family’s flight from Syria in a fictional context and is aimed at a younger readership. Events in Escape from Syria are seen through the eyes of Amina and follow both the geographical and emotional journey of her family – parents Walid and Dalia and brother Youssef – after they are forced to leave Aleppo when their home is destroyed in an air strike. From there they must adapt to a difficult new life in Lebanon where legal status is sacrificed for essentials and the challenges of ill health and those who would prey upon and exploit them are constant. As their situation becomes more intolerable and precarious the family are faced with the difficult decision of having to give up everything they have ever known if their security is to be assured. 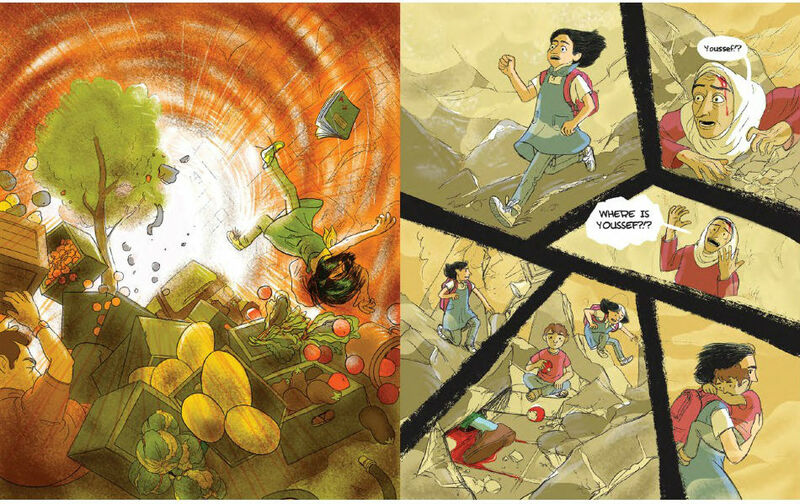 Kullab’s story is pitched very much at that younger target audience giving them a likeable central character to identify with and to frame events from a peer perspective. 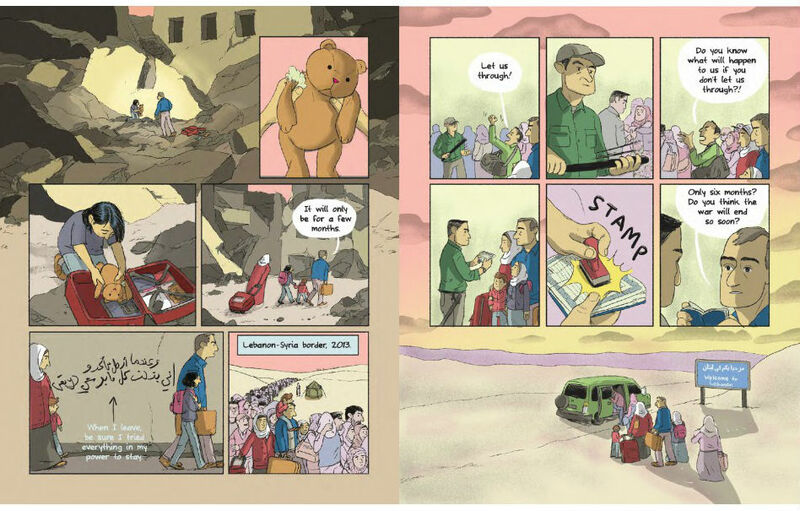 Beginning with a dramatic and pivotal event as Amina witnesses first hand the carnage of the conflict (above), Escape from Syria is both a very human drama and an informative account of the socio-poltical complexities of life in the region. 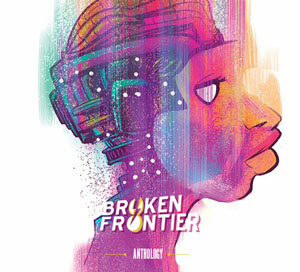 As a result there are sequences that are heavier in background information and exposition through conversational dialogue but Kullab effectively condenses involved subject matter into understandable summaries without compromising the integrity of her storytelling. A useful glossary of endnotes provides background details. 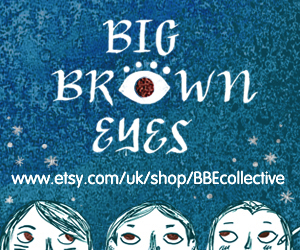 Jackie Roche’s art is accessible throughout with her expressive depiction of the cast playing a large role in the audience’s empathetic connection with them. While her visual storytelling adopts a largely traditional use of layouts those moments of high drama are rendered all the more dramatic for their sudden use of unconventional panel arrangements. This is highly effective in communicating the trauma and panic of the opening explosion scene, for example, or a later sequence where a boat full of refugees capsizes. Roche also occasionally places sequential panels on top of a larger, more expansive image (above and below) contrasting our focus on the core cast with the wider events that surround them, while Mike Freiheit’s often carefully subdued colouring choices also add to the book’s tense atmosphere. Escape from Syria is not without hope but it’s also realistic about the realities and challenges ahead for the family, particularly in its bittersweet ending that reminds us that while life for Amina, Walid, Dalia and Youssef may be more optimistic for many, many others left behind it is not. This is an excellent starting point for a younger demographic in understanding both the underlying reasons behind the news stories and the plight of those impacted.